It took a month, but I'm back with more Twenty Under Twenty. Christmas is almost here, and so is the winter Steam sale (where you'll be able to find many of these games for far less, which is a great deal, because they're certainly all worth full price). Here are five more of my favorite twenty games under twenty dollars this year. See the first five here. This puzzle game has a dark and dreary tone and atmosphere, and a beautiful Claymation inspired art style. You play an astronaut on a strange planet, who must use a strange device—the swapper—to navigate the puzzling environment. The swapper creates identical copies of the astronaut, that move in tandem with your own movements. You can switch the astronauts consciousness to the copies to progress through a stage. With clever puzzles, a slightly creepy tone, and some open ended questions on the nature of clones and self-identity, The Swapper is a game that sticks around in your brain. Spelunky is an evil game, in a (mostly) good way. 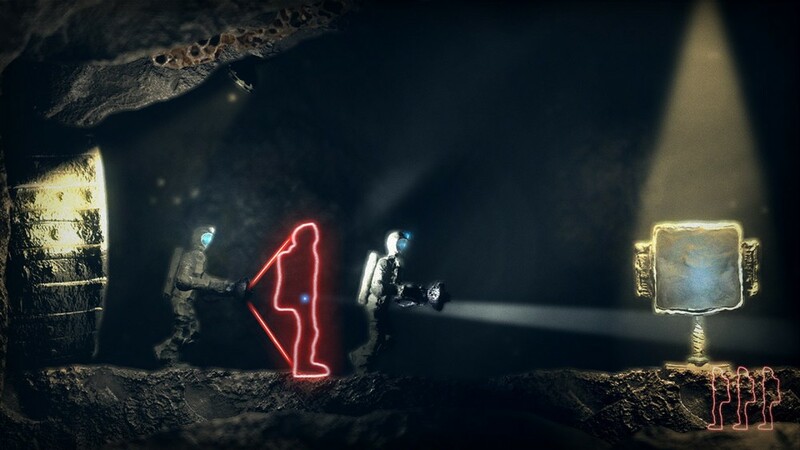 You play as a cave explorer with one goal—make it deeper and deeper into the caves. Each stage is randomly generated and filled to the brim with spike traps, explosives, spiders, snakes, skeletons and more. The best part about Spelunky is the feeling of discovery. The more you play, the more you learn about the environments, enemies and random items you can purchase or find. Yes, you get sent back to square one when you die, but you’re sent back with sweet, sweet knowledge. Maybe you’ll make it farther next time? This game is equal parts frustrating and rewarding, and as good as it is on PC, it’s even better on Vita—the perfect jump in/jump out mobile game. Another game that’s as great on Vita as it is PC. Guacamelee is a combat-platformer (in the Castlevania style) with a wonderful 2D art style and a great sense of humor. You play a farmer turned wrestler on a quest to rid the world of an evil wizard. This game oozes style, with a refreshingly bright color palette. I bought it for the art alone, and was pleased to find it’s a solid and enjoyable game too. If you play it on PC, you get a few extra challenges and the ability to download custom skins for characters. Everything about this game is ridiculous. Set in the far flung future of 2007, Far Cry 3: Blood Dragon puts you in the boots of Rex Colt, cyber soldier and all around badass. If you played Far Cry 3, you’ll be up to speed in no time, as Blood Dragon is just a heavily stylized, faster progressing version of that game. The super neon colors, the goofy cyber lingo, and awesome weapons are great. The game breaks the fourth wall often, and the jokes are hit or miss, but the gameplay is solid. You’ll have many of the cool and convenient abilities you had to play hours to get in Far Cry 3 within a few minutes in Blood Dragon. That alone makes it more accessible and fun. This action RPG is surprisingly deep for a game under $20. You’ll find tons of great loot, an in-depth leveling and skill system, and an entertaining gothic-myth influenced story. The developers recently added controller support, ahead of a supposed console release, which is great if you’re not the type that enjoys click-a-thons. Coming off Diablo 3 on PS3, an absurdly polished and likely endlessly play-tested game, I was pleasantly surprised with the level of polish in Van Helsing. If you’re in for a stylistic loot grind on PC, and you don’t direct control via gamepad, you can’t go wrong with this one.